Just a super quick update. I am so close to being done with a full draft of my book. So close that I can see the light at the end of the tunnel but it's still not done which frustrates me because I was only one half-chapter away when I got back from Montana and I have not had time to just do that single half chapter!! I understand why, just basically getting caught up at home, spending time with my beautiful awesome kiddos when I can, some time with Doug, and then writing several Animal Planet blog posts so I can have a week to focus - this week. And here it is, Tuesday! I wanted to link to some of my favorite Animal Planet Animals in the News blog posts in case you haven't had a chance to read them. Massive oil spill off Australian coast puts marine life at risk - The news in yesterday's post horrifies me because some 400-2,000 barrels of oil per day are spilling into the Timor Sea off Western Australia and it's been going on since August 21st. Yet it's barely made the news. WWF-Australia made an expedition there to survey the damage to wildlife. Hydraulic fracturing or "fracking" may kill animals- I like this post because it reports on something that, once again, has only started getting the public attention it deserves. It's a frightening story that we all should be aware of! My friend Sharon Wilson who writes the Blue Daze blog has been a longtime advocate of drilling reform in the Barnett Shale of Texas. Open Season on Gray Wolves - I like this one because it's based on my recent visit to Yellowstone National Park and seeing the wolves in the wild, then I give an update on the first wolf hunting season in recent history. Costa Rica’s “Leatherback National Park” threatened - Discovery Channel sent me to Las Baulas National Park in 1999 for a totally amazing expedition Love & Death on Turtle Beach! Now the national park may get downgraded by Costa Rica's own government. Meatless Mondays - I have enjoyed writing about food/meat issues on the blog, which is something "animal" related that I never originally intended to write about. But as I come across story ideas, more and more I realize that food issues affect us all, and actually a lot more than many other wildlife or animal stories. I am trying to do "meatless monday" which means no meat on Mondays, and it's embraced by the likes of Paul McCartney and many others. The goal is to help curb global warming because meat production is one of the leading contributors to greenhouse gases. This post gives the facts about meat consumption as gathered from various sources, and the low-down on meatless Mondays. That's all for now! :) Visit and leave some comments, if you get a chance! 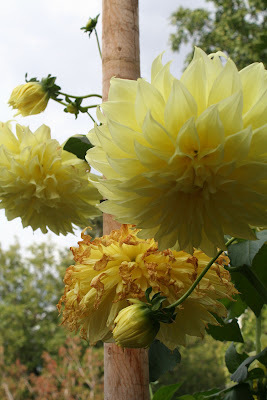 Yellow flowers in Elissa's yard in Montana. Just wanted to give a quick update. I'm back home in Houston after a very productive and awesome time in Montana. My goal was to write two full chapters of my book, and I accomplished that goal and even got another half chapter completed. So now I have to complete that last half-chapter, and I'll have a full draft of the baby into my editors. Yea! This book writing thing has been way harder than I ever imagined, on many different levels. I will be so incredibly happy to see my book in real-book-form one of these days! If all goes as planned, it should be on shelves in Fall 2010. I got back Saturday evening after a crazy day of airport travel. Have been writing up several Animal Planet blog posts so I can again shift my focus back to finishing my book! I have a feature due mid-November so I plan to try to get my book draft done next week then shift my focus again to pikas, the topic of my next article. Tomorrow I am giving a mini-photography workshop project to my son's middle school. A few weeks back I did a journaling workshop, and I'll be picking those up from students so I can read them. I had assigned them each an "outdoor observation journal" which I also use in the online writing class I teach (the next one starts Oct 31 if you're interested check it out!) But the next project I'm working with students on was inspired by the documentary movie Born Into Brothels where a handful of kids born into poverty (children of sx workers specifically) in Calcutta India's red light district were given cameras and it allowed them to express themselves in ways they weren't able to in words. I was touched by the updates I read of Avijit Halder the one child who made his way to America, first attending school in Utah and then being accepted into the Tisch School of the Arts at New York University. He seems wise beyond his years. At any rate the people involved in the production of Born Into Brothels have an awesome nonprofit called Kids with Cameras which inspired my idea to have these middle school students capture a day in their life, through the camera lens. I found out this week that I won 1st place (Gold) in the International Regional Magazine Association (IRMA) Awards for my article Dead Zone in Texas Parks & Wildlife Magazine! My editors at the magazine submitted it, not me, and I didn't even know about it until I found out I won! It made my week! I went to see The Cove documentary at the Bozeman Film Festival (which is really just a movie shown at a theatre...). I really enjoyed it, especially since I'd written about it for Animal Planet, but it was not quite as exciting as I had hoped for, given the hype. What impressed me, though, is how much the film has made a difference in raising awareness of the issues, in helping the Japanese/Taiji locals become aware of the issue of mercury contamination, and in - so far - preventing the mass slaughter of the dolphins this year. Elissa is an amazing cook and I'm trying out many of the recipes she made on my own. So far so good, though I'm still learning on some of the things, like how long it takes to actually caramelize onions! I am enjoying trying the recipes out on (my boyfriend) Doug and the kids. She follows the Paleo Diet which is high in meat, veggies, and fruits and low in sugar, dairy, and any grains other than whole grains. I'm trying to follow along with it sort of now that I'm back home. The Mark's Daily Apple has some info too. 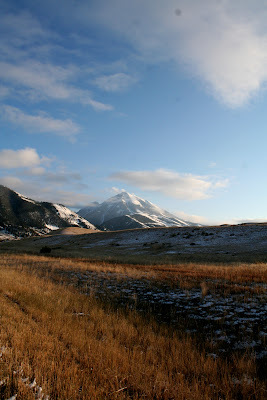 Emigrant Peak near Pray, Montana. This is where Elissa and Ben got married! 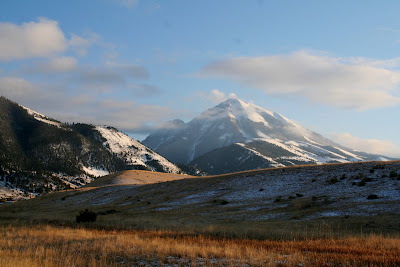 Another shot of Emigrant Peak. 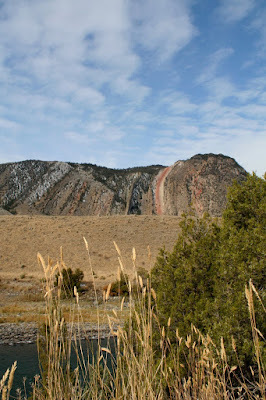 This is just around the corner from Chico Hot Springs Resort where we stayed last night. We soaked in the hot springs, had dinner, and then went out to the "saloon" and listened to the Clumsy Lovers play, and then we stayed until they closed at 2am! 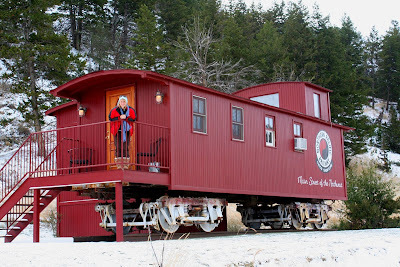 The caboose we stayed in at Chico Hot Springs - it was so cool!! 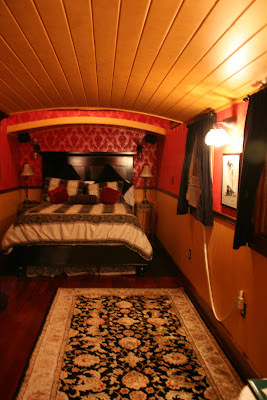 Inside the caboose. It was a gorgeous room! 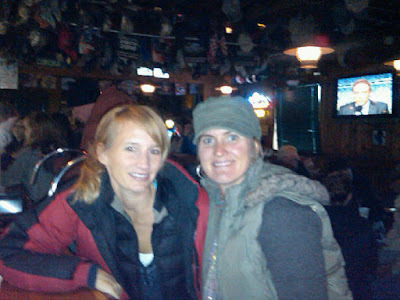 Hanging at the saloon at Chico Hot Springs. 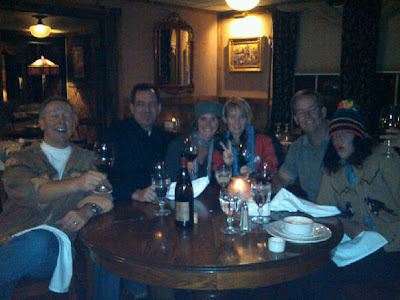 We met some great people after dinner at the Chico Hot Springs dining roon. 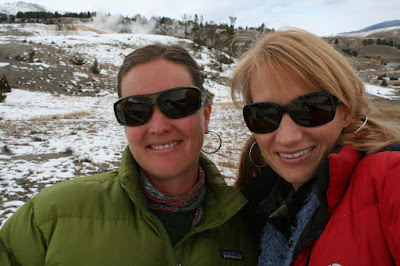 Elissa and I on our most excellent adventure! 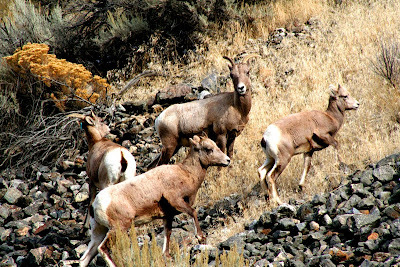 Bighorn sheep alongside the road, just before entering Yellowstone National Park from the North entrance. 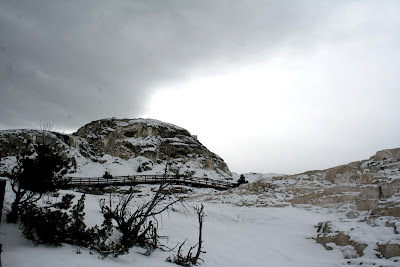 This is the walkway at Mammoth Hot Springs. 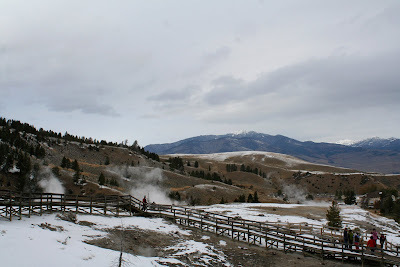 There were several hot springs here which you can see by the rising steam! 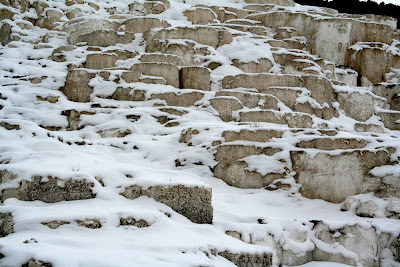 A closeup of the terracing at Minerva terraces - "living sculptures" formed by the hydrothermal activity. 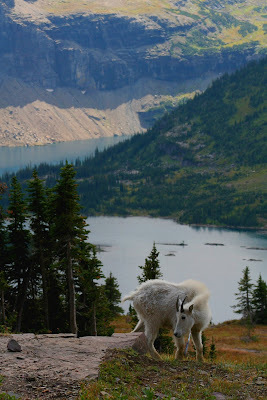 A bighorn sheep on the mountainside. Hard to see in the pic this size, click to see it larger! Elissa and me with a moose hat on! 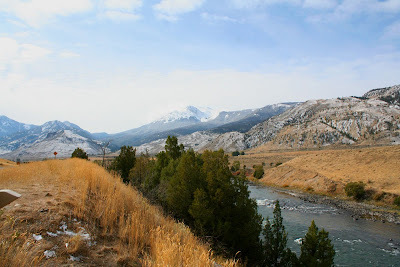 This was the spot where we saw the Druid Wolf pack (near Slough Creek) but they were too far away to get a photo of. 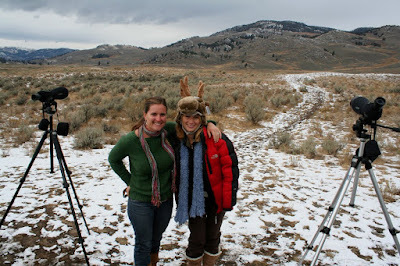 While here we met some folks who follow the wolves around and love to observe them using scopes. They're the ones who knew what wolf pack it was. One had a radio collar on. We even heard and saw them howl!! THAT was sooo amazing!! 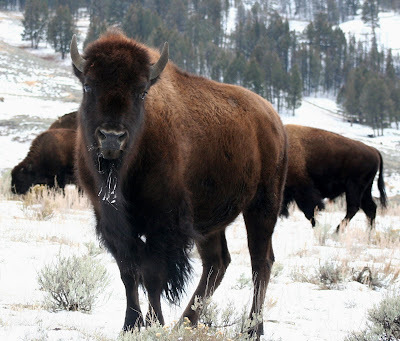 A baby bison amidst a herd. 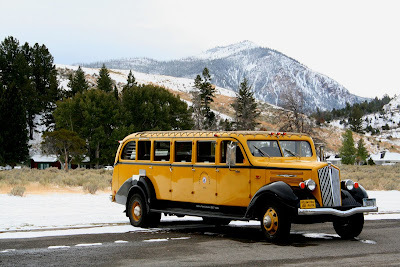 An old timey bus at Mammoth Hot Springs. I think they use these for tours. 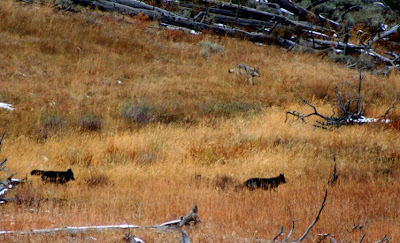 Elissa spotted a second wolf pack on the roadside in the Lamar Valley near Blacktail Deer Plateau. 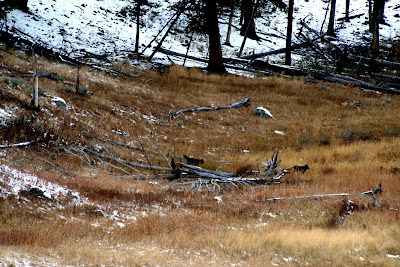 There are 3 wolves here, two black ones in the foreground and a third grey one coming down the hill that I didn't even see until I upped the contrast in Photoshop! 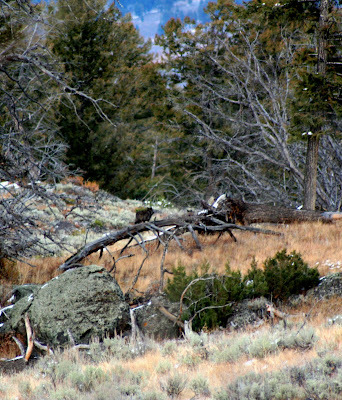 There are two wolves here, a black one and one barely visible behind it that it's grey -you can barely see its ears and head just to the right of the other one. Here's another shot of the three wolves walking across the valley. It's not as zoomed in as the other pic above but if you click on it you can see it larger! A big daddy-o! We heard him make his bugle call. 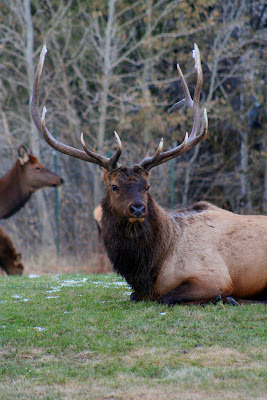 He was in the town of Mammoth Hot Springs just inside the park entrance. 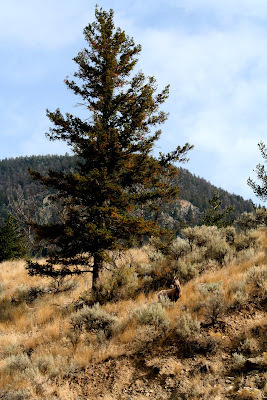 A baby elk in Mammoth Hot Springs (a little community just inside the park). 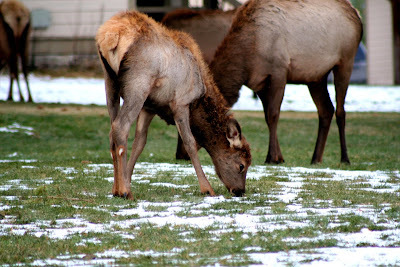 The elk often go there and hang out and eat grass! 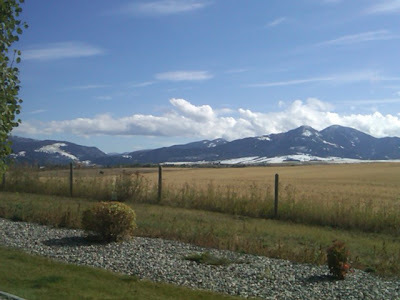 A view of the Montana mountains - shot using my Blackberry. Time is flying by, but fortunately I've made some good progress on my book! I've edited the first four chapters, and gotten a substantial amount of the next one written - Land of the Lost - which is about creationism. In it I talk about my visit to the Creation Evidence Museum which I visited in late October 2008 - See my old blog post from then, Land of the Lost. I have literally been in my yummy black fleece North Face sweatpants and t-shirts, no makeup, for the past week. I write in different corners of the house... downstairs I have a gas fireplace that is toasty warm and a couch, a round table with comfy stools, an office with a desk, and then my bed (where I'm at now). I write upstairs on the couch watching the snow fall as I did today... it was really coming down today! We got like 8 inches of snow!! The other day it snowed, then that all melted and it was sunny but cool. Then it snowed again starting last night through today. It's so pretty! I haven't really been out in it though. The other day, I walked to the Bozeman Community Food Co-op which is 4 blocks from Elissa's house - we sooo need one of these in my community! I seriously have thought about opening one... then again I have way too many ideas for my own good sometimes! Anyway, I worked a bit upstairs at their coffee shop which has wifi. 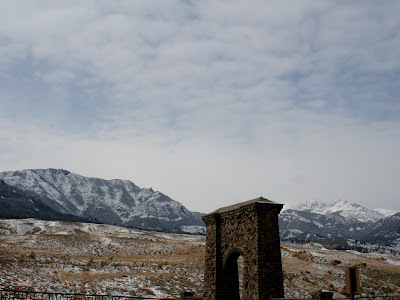 The view of the mountains is awesome - see the picture below. I took Elissa to the doc, and saw another beautiful view, the pic above is from the doc's office window. All these are just from my Blackberry. I need to upload some of my pics from my better camera but haven't yet. Last night they had some friends over to watch the Steelers-Chargers football game and I helped Elissa make a Thai food feast! Other than writing, the only plans we have so far are to go see The Cove - a documentary about the dolphin slaughter in Japan - on Thursday at the Bozeman Film Festival - which is really just alternative movies playing at a local theater... and then we're talking about taking a couple days the following week to go to Chico Hot Springs, Yellowstone, and staying in Cooke City near the northeast park entrance. It's apparently a great time of year to see wildlife because the snows will have started bringing them into the valleys, and they're trying to fatten up in prep for the long winter. I will also probably let Elissa take me up in her Cessna and fly me over Yellowstone some other day too. She's been a pilot for a while. Here are a couple more pics. Now I'm back to writing! 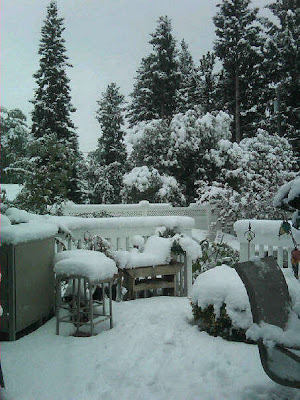 The view out the back porch today with all the snow that has come down! It will probably melt soon though. 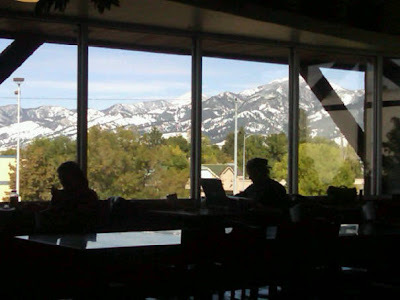 A view of the mountains from the upstairs coffee shop at the Bozeman Community Food Co-op. I have the whole downstairs to myself, with a bedroom, bathroom, office, kitchen and living room. Upstairs is their regular home, and today I got to use the awesome jacuzzi tub in her recently remodeled bathroom! There's wifi here, so I have everything I need to work, write, focus. As I mentioned before, she and Ben run a nursery in town so normally she'd be at work but she has had some shoulder pain and has been staying home. I've spent the last day and a half going over the chapters I've written thus far, outlining and determing what I've alreday said, and what I still need to say. I've just started outlining some of what will go in the new chapters. In the best of all worlds I'd get sooo much writing done I'll be just thrilled. Some moments I think I can do it, and other moments I get frustrated at how long the overview/review is taking me. Elissa is an amazing cook! She follows something called the Paleo Diet which includes a lot of meat and veggies, some fruit but very little dairy, no grains or potatoes, and no sugar. I decided to try to follow while here. 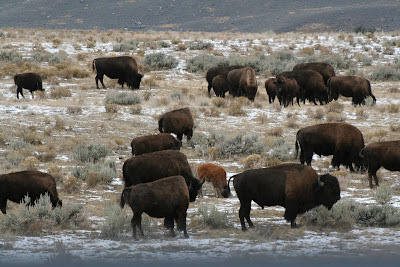 Instead of mass produced meat she eats a lot of game meat (she has a whole bison in her freezer!) or naturally grown organic meats (Speaking of mass produced meats, we watched the documentary Food, Inc tonight which I'll talk more about later...). Elissa has a huge garden so a lot of veggies and herbs are grown right in her backyard and the others she buys at the co-op down the street and elsewhere. And guess what? Yesterday I awoke to SNOW!! We had to rush to cover up her herbs and veggies because she hadn't yet harvested them yet. Today, she was cutting up all the herbs and plans to make various pestos - traditional pesto, tarragon pesto, mint-almond pesto, etc. Wow! I'm so impressed with everything she does!! And the food - which I will provide photos of soon - is out of this world! So flavorful and delicious!! Yesterday for dinner we had blackened salmon with cucumber-mint sauce - and broccoli and salad. Today for dinner we had chicken breast (organic free-range) with chile sauce in roasted yellow peppers, with a bed of cabbage and sliced nectarines on the side. Anyway I wanted to share a few pics I took on my blackberry. They're nothing special but just to give an idea... more will come soon! 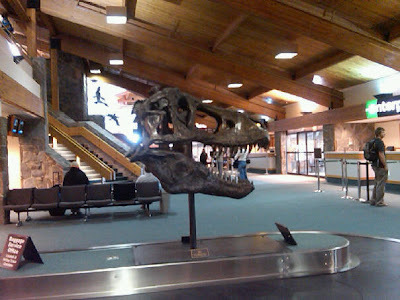 You know a town is cool when you're greeted by a T.Rex sculpture at the airport! 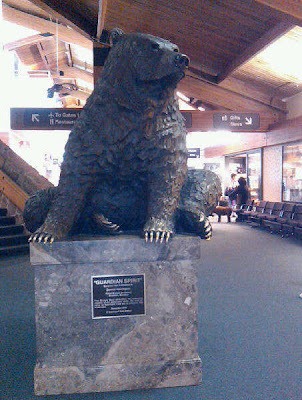 And then, a sculpture of a bear... which says "Guardian spirit." I like to say the bear's my totem because when I did a guided visualization to determine my guardian spirit, child spirit and something else the bear came to me. And I see a bear in just about every national park I've been to. 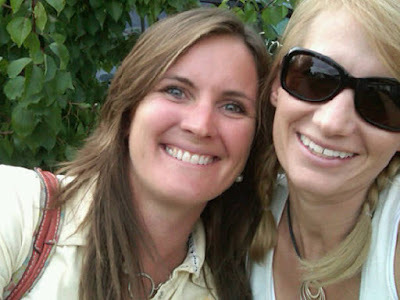 Me & Elissa - lifelong friends! We lived next door in 7th grade in Beaverton Oregon. 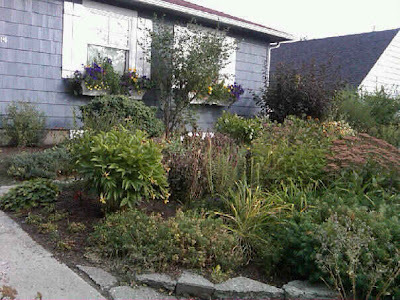 Elisa's yard is xeriscaping at its best - no grass! 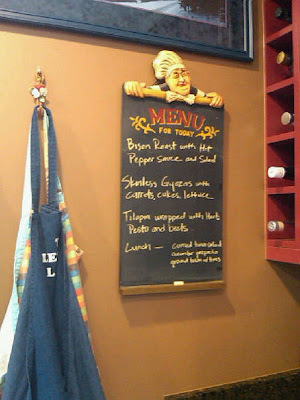 The "menu" from the previous week on the wall. Little did I know I've come to my own private resort I think! It reads: Bison roast with hot pepper sauce and salad. Skinless goyozas (a meatball) with carrots, cukes, lettuce. Tilapia wrapped with herb pesto, and beets. 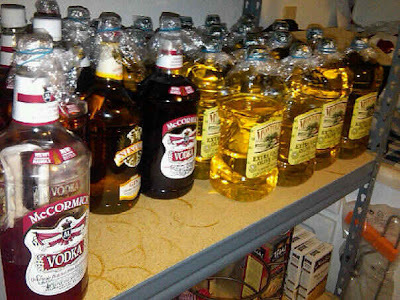 She makes herb-infused olive oil and infused vodkas. 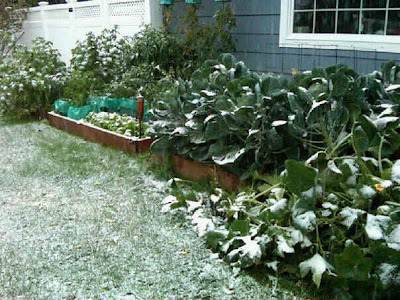 A snapshot of the snow covering the garden. 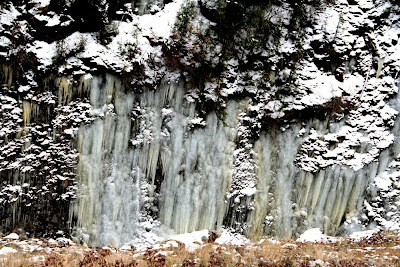 It melted today but I'm sure to see more while I'm here! It's been pretty chilly.